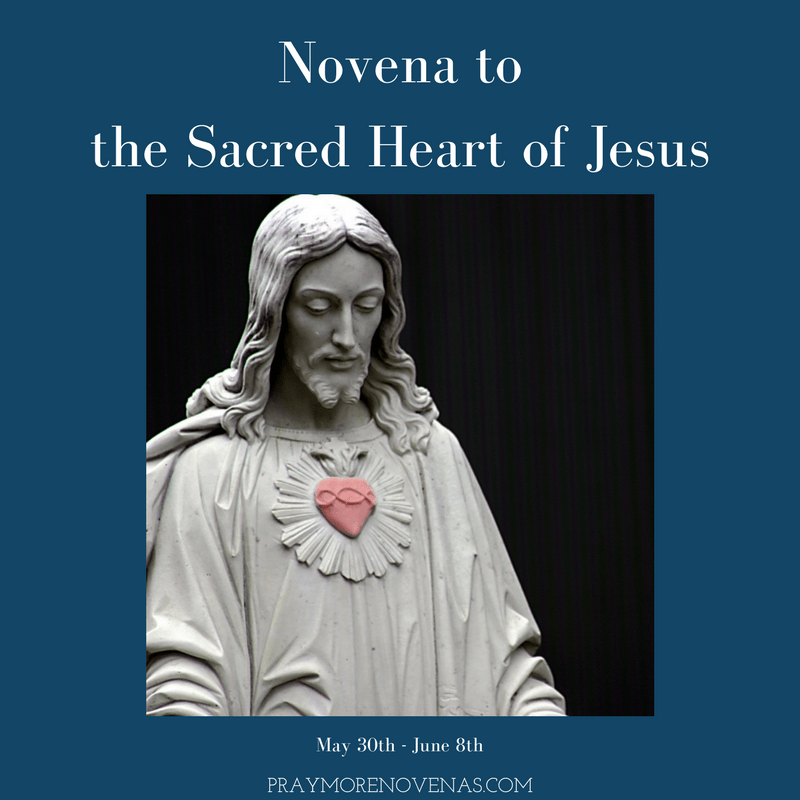 Here’s Day 6 of The Sacred Heart of Jesus Novena! I pray that I get called for a second interview and get hired for the job that I want. I also pray for continued healing for my mother and lastly, i pray that I find a boyfriend/husband who is worthy of my love. Amen. I pray that I can afford my childrens catholic school tutition with great ease and abundance. I pray that my children and I will be free from the abuse of their father and his mistress. I pray they wont have to go to california to his home for 6 weeks this summer. I pray to be happy healthy wealthy and wise together with my children with peace and thriving. Sacred heart of jesus i pray for my father bede santana for healing on his brain he forget alot . O Sacred Heat of Jesus I thank you for the advanced course about handicrafts that I will start in August. I am so very happy about this because I have tried so many times to have a place in this school. I pray for protection of over my husbond who fights with serious identityproblems. He has got only one sister and they have not talked to each other since their father died five years ago. Help him to restore their relation. Help me also to restore my relation to my father. He has married a woman that is very hostile towards me. Please Jesus make her heart soft. As long as she continues with her jealousy and hostility I will not have possibillity to talk to nor visit my father, he is a very weak man. Help me God to gain strength and accept my life as it has come to be. Amen. Sacred Heart of Jesus I pray that my daughter be granted a permanent job with good benefits. Grant her the courage and eagerness to do applications on time and be well prepared for interviews that come her way. O Sacred Heat of Jesus I thank you for all blessings. Please bring my nephew and his new wife back to the Catholic Faith/Church. I pray for Workman’s Comp to approve my sister’s surgery. I pray for protection of over Gee as she is in her twilight years and for her to have a peaceful death without struggle or fear. I pray for direction on who to contact to get the delapolated houses cleared away in our neighborhood–all our contacts and phone calls have been futile. Please save Jean Sybil Kuku and mona forever. I just want to give thanks and praise for all that you have done for me and my family Sacred Heart of Jesus. I pray that my family and friends return to the Faith. Also, for my friend, Amber, a mother who has cancer. Sacred heart of Jesus I humbly beseech thee to cast out the wicked demons of my mind, brain and my whole being. Please fill me with only Godly thoughts and PEACE. Please heal Joyce and shield us all from every evil arrow. Untie every KNOT in our lives and bless us abundantly in all areas of our lives. Fill my heart with GRATITUDE and let me truly fill it for I have a ton to be grateful for and I’ll forever be grateful. Amen!!! Prayers for Susie that she will be graced with a kidney soon to keep this young woman alive. And for Melissa that she will have full remission from the autoimmune disease that is attacking her body organs. Peace in our families and our country. Conversion of my children and increased faithfulness for myself and my spouse. Please pray for the safe return of my children. Pray for the order that is keeping them away be abolished. Bless and look over my new marriage. Pray for my Coco Queen who came to be with you this morning. Please pray for Cody to be healed of pain, of headaches, of autism, and of all of his many many nuero problems. pray that i pass my saipa exam. Financial breakthrough ,devotion to the sacred heart of Jesus and for my children. Please pray for me as I struggle with hardships in my job. I need all the prayers I can get !